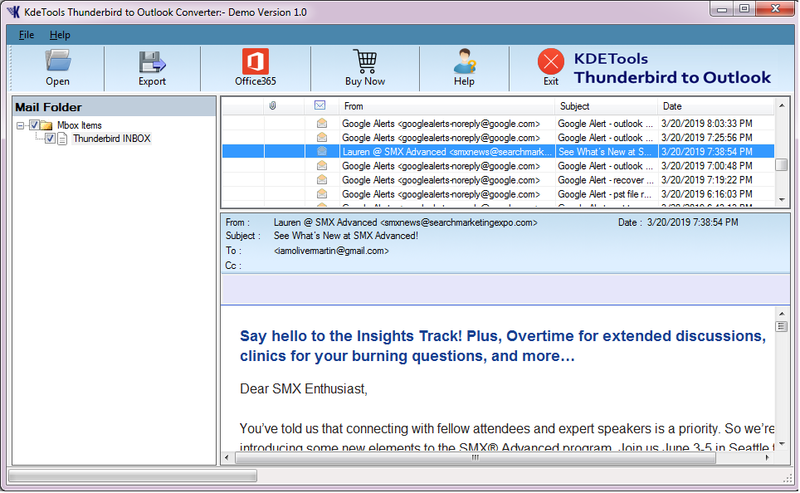 How to work Thunderbird to Outlook Converter? 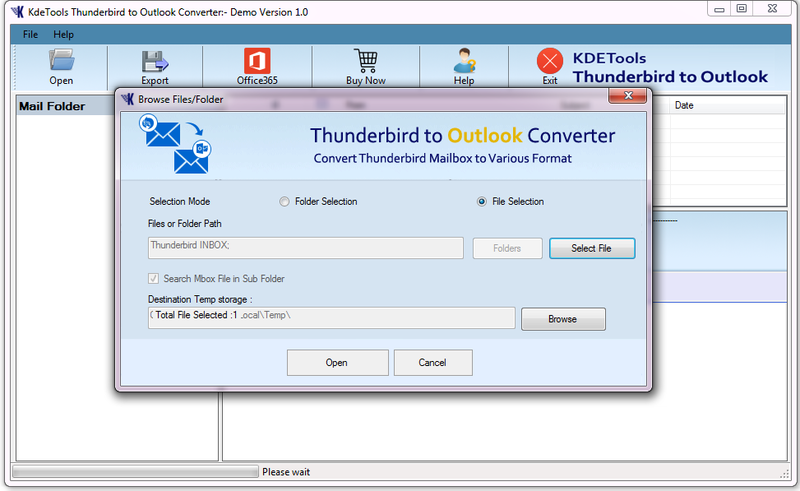 How Thunderbird to Outlook Converter Works? 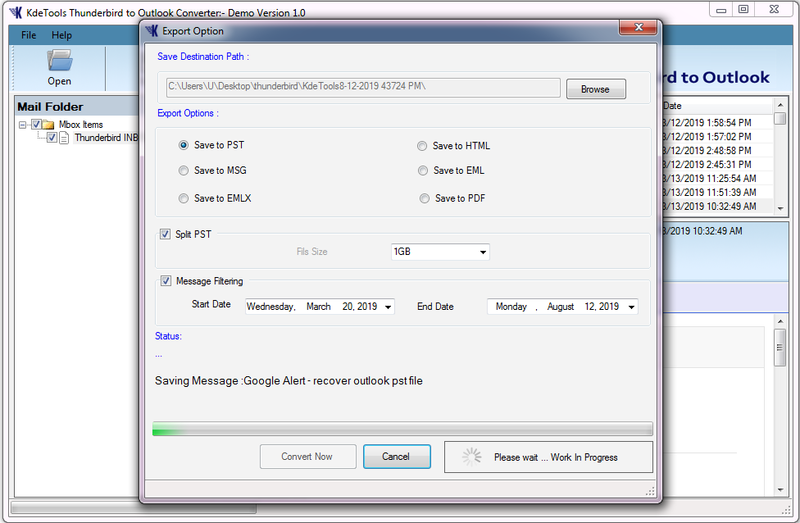 Step by Step procedure to convert Thunderbird file to PST file type. 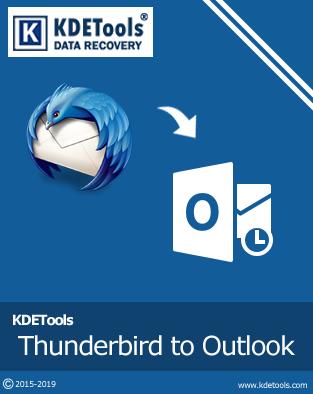 Step 1: Download and install Thunderbird to Outlook Converter Software. Step 3: Select Thunderbird file to start the scanning process. Step 4: Click on Open button to scan Thunderbird file. Step 5: After scanning process is done you can show preview of Thunderbird file with attachment. 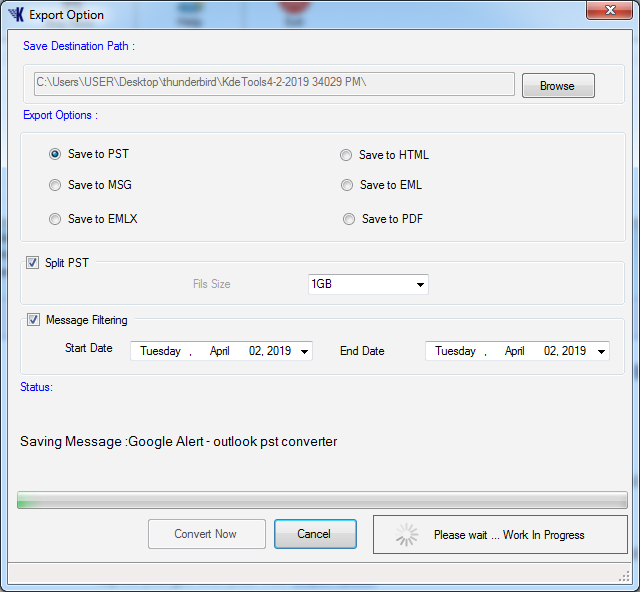 Step 6: Click on Export Button to choose save destination path to save file into existing folder or new folder. 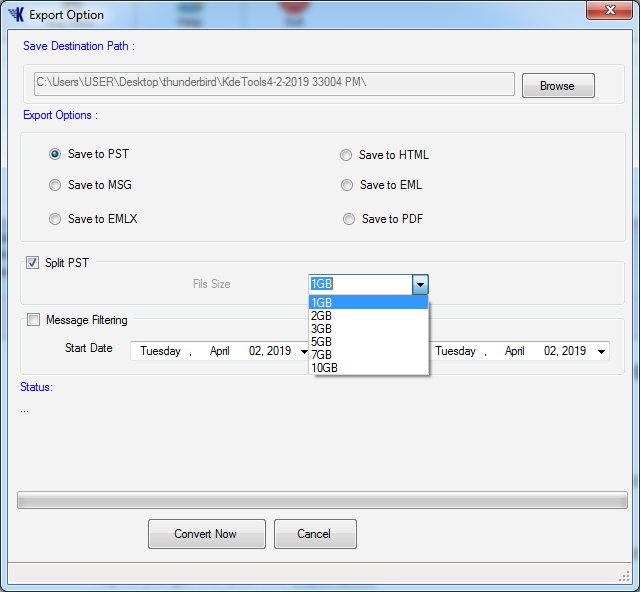 Step 7: After selecting destination path you can choose export option to convert Thunderbird file into multiple file format. 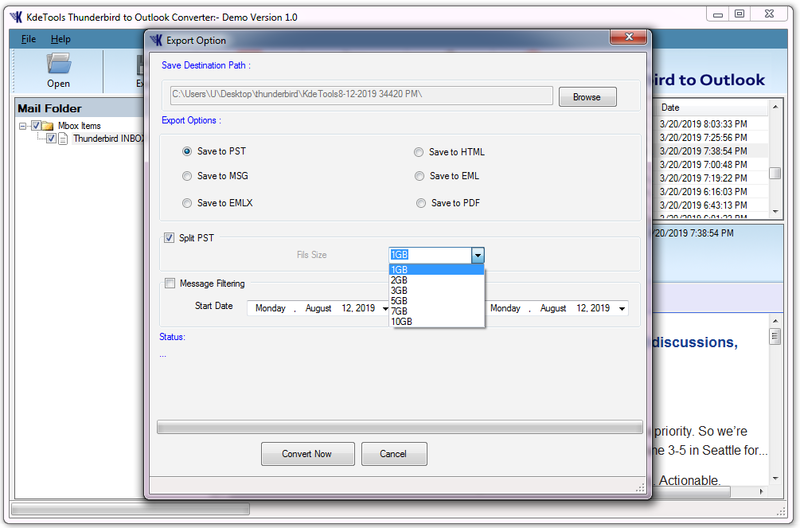 Step 8: You can choose Split option to split oversized Thunderbird file to smaller file. 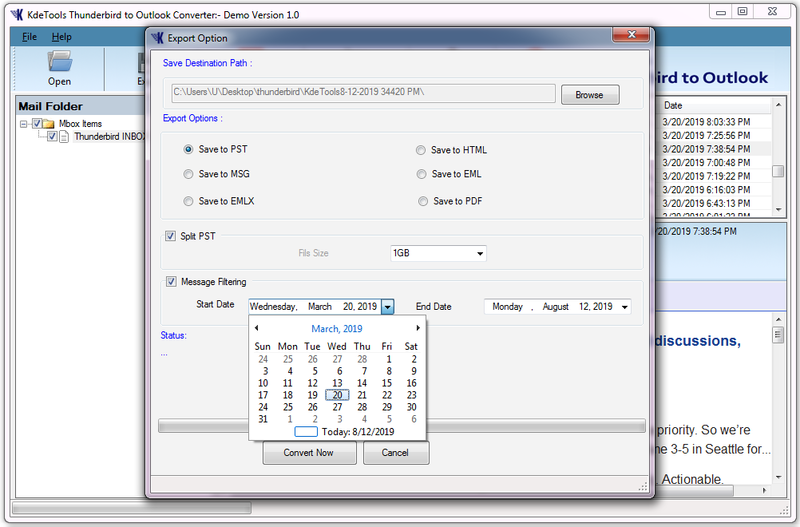 Step 9: Select Message filtering option to select specific date to export particular data. Step 10: Click on Convert Now button to start the conversion process. Step 11: After conversion process is done then shows confirmation box. 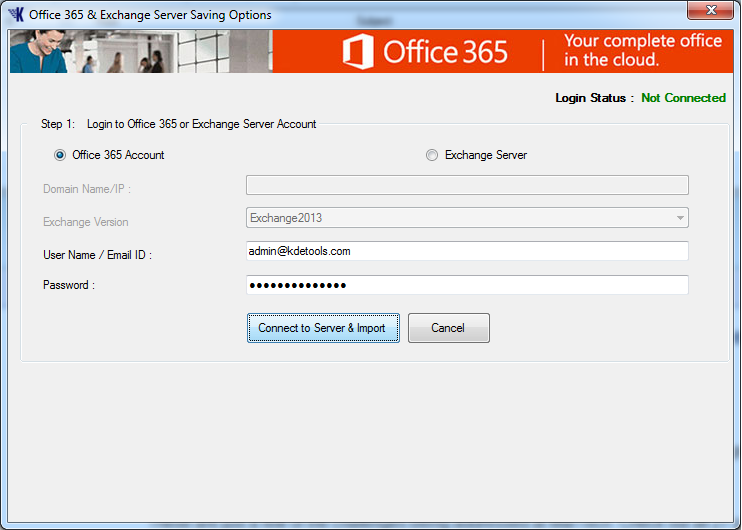 Step 12: Click on Office 365 button to convert Thunderbird file to Office 365. 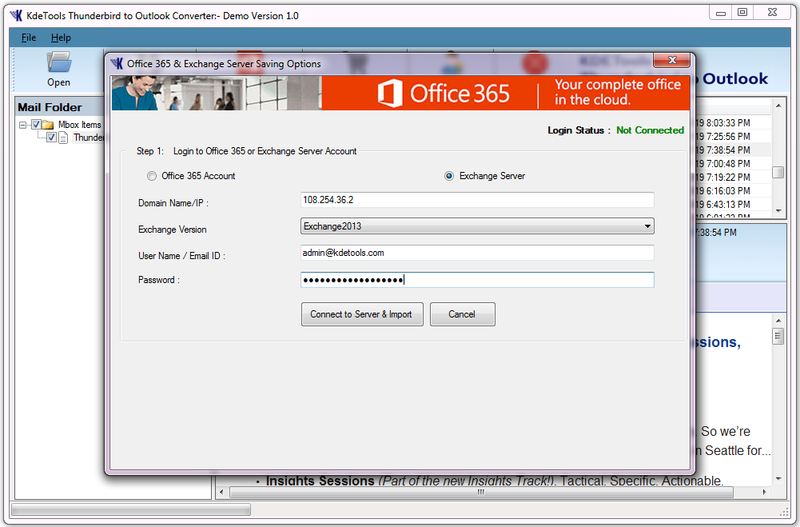 You just Enter Office365 credentials and then click on connect to server & import button. Step 13: Click on Exchange Server button to convert Thunderbird file to Exchange server. Then Enter Exchange Server credentials and click on connect to server & import button.